Adwen will finish production of the last of the 70 5MW turbines destined for Iberdrola's Wikinger project in the Baltic Sea in the third week of June. With no imminent follow-up orders for the 5MW unit, formerly under the Areva brand, Adwen has launched a restructuring programme, due to be completed by early July, according to a company spokeswoman. The workforce at Adwen's offshore wind turbine production facility in Bremerhaven was informed of the "transformation of company structure" on 30 May, she said. In a first step to align Adwen with its new parent company, Siemens Gamesa Renewable Energy, two separate legal entities are to be created, Adwen Operations and French Pipeline. 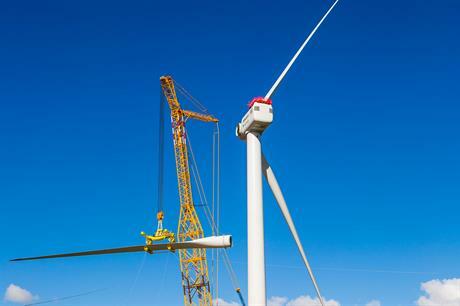 Adwen Operations will focus on servicing the four German projects — Global Tech 1, Alpha Ventus, Trianel Windpark Borkum phase 1 and Wikinger — that are equipped with the 5MW turbines. COO Julian Arrillaga will succeed Luis Alvarez as Adwen CEO, and will also head Adwen Operations from 1 July. No announcement has been made on the CEO post for French Pipeline. French Pipeline will focus on development up to construction-start of the 1.5GW of projects selected for France's offshore sector — Saint-Brieuc, Dieppe Le Treport and Yeu-Noirmoutier. The company gave no further information on whether the French projects will be equipped with Adwen turbines. "Integration of Siemens and Gamesa has only just begun with many complex and important decisions to be made. One important aspect is the product portfolio," the spokeswoman said. Installation of the prototype Adwen 8MW offshore turbine at Bremerhaven is now completed. It is expected to start generating electricity before the end of June, after last preparatory works are completed.